Posted April 7th, 2011 at 8:46 PM (CST) by Jim Sinclair & filed under General Editorial. The system has failed. It failed the day that Lehman Brothers was flushed. There is a financial condition of an ocean of liquidity making the broken remains of a failed financial system in the Western world opaque. There is no future failure coming. What is coming is a mass realization that exposes the fact there is no functioning system under all this liquidity. It is a sharp contraction in confidence that lies down the road. Realize this and know that there is one more step you need to make. Having the largest pile of gold and silver without considering one more step might make you a modern Midas. There is more to insurance than simply financial. Shortages of goods and services will occur because of currency induced cost push inflation resulting in dislocations of the organization and compensation in the distribution functions. That means there could be ample food in the system but little available on the shelf of your local market. Because of the ill-understood world shaping changes in the Middle East, the impact of “Peak Oil” on price has been sharply accelerated. Public utilities considered now as a human right will prove themselves to be privileges. Expectation of power on a constant basis will become a hollow expectation. If you do not have the experience of living in India and Africa in the 80s, you have no idea of how to live in a Western World experiencing long term currency induced cost push inflation. Self reliance will become as important as your holdings in gold. To have a huge pile of gold but remain totally dependent on the infrastructure of the Western World system is a serious mistake. You would have substantial capital but lack goods and services to buy. You will be able to afford much, but much will be either in short supply or illegal. You know more about what is occurring than 99% of investors. You are the 1% that knows the SYSTEM HAS FAILED. You are the 1% that knows the system failed the minute Lehman Brothers was flushed. You are the 1% not looking for some failure in the future but know there is no system below the flood of liquidity. You are the 1% that has been exposed to the concept of currency induced cost push. You are the 1% that can understand the future. Please be that 1% that is not seduced by your profits and fails to take the last step to the best degree they can. The picture above is another aspect of Sunnyfield’s Farm. 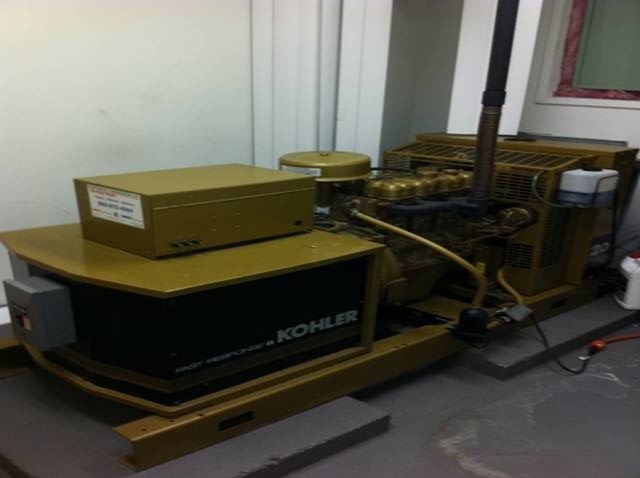 It is one of two 20KW generators powered by a marine diesel engine. 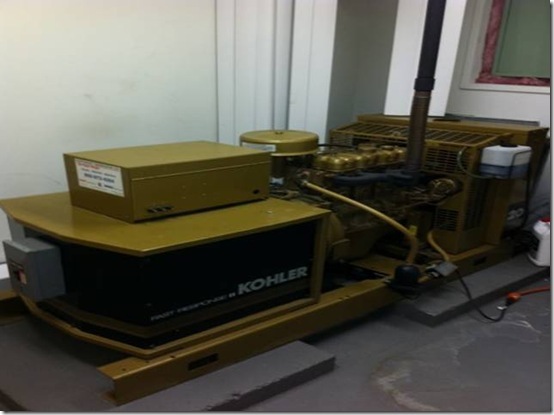 There is a special fuel filter system custom designed that allows this engine to run on low grade heating oil. There is at all times 14,000 gallons of fuel buried. This fuel is diesel, heating oil and gasoline. This is at best a short-term answer to the predictable failure of fossil fuel electric generation. The longer term solution is wind power banking batteries and a converter. I will walk you through everything that I have done in hopes that you might use it as a model to improve on. Page queried in 0.516 seconds.